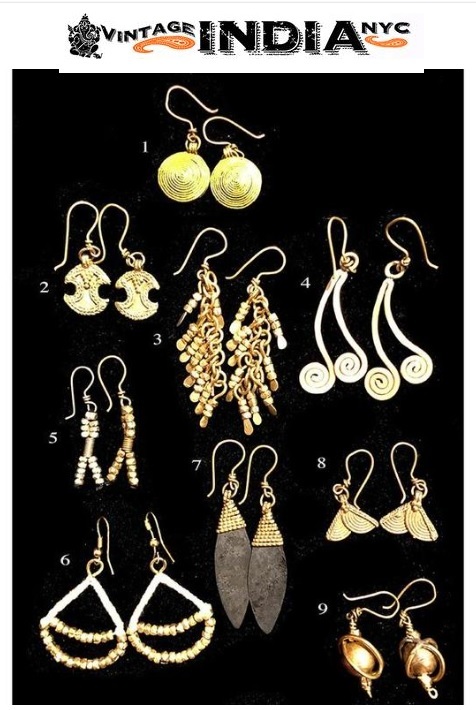 Brass earrings, hand made in Orissa by local artisans. Each one is unique. One of a kind!